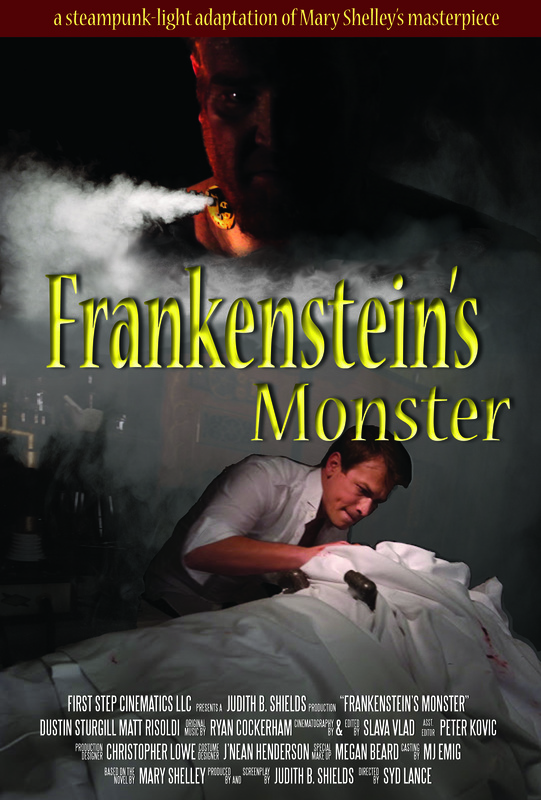 Frankenstein’s Monster – An Indie Steampunk Film | STEAMED! After we shake hands, I warn her, “Watch your step.” We both leap over the gap between the dock and the airship. I lead her into the parlor and gesture towards the crimson settee, which features curvy legs and claw feet. Judith sinks into the cushioned seat. “What about the actual work of filming, what type of cameras were used in shooting Frankenstein’s Monster?” Why did you make those choices?” With a slow sip, I breathe in the aromatic scent of my tea. “You don’t have to tell me about the Texas heat.” I recall having to fan myself with my hat just moments ago. “But even with all the challenges, film making sounds so interesting. I think everyone would like to be on a set at least once. Can you describe a typical day on the set of Frankenstein’s Monster?” With a soft clink, I sit my cup on its china saucer on the tea table. Airship Steamed has landed back in Houston so I must say farewell to Judith B. Shields, but you are welcome to stay and watch the trailer for this amazing film, Frankenstein’s Monster. Also if you’re going to WorldCon in San Antonio this year, and who isn’t, you can catch the showing of Frankenstein’s Monster at 8pm, Friday August 30th. It looks like a great film. Thank you Maeve Alpine for this amazing interview! Maeve and I took an airship trip and enjoyed a cup of tea as we discussed film and steampunk. explorers found the it contains a water system vaporisation.